Four staggered-tooth cutting edges provide fast, smooth, chatterless cutting for perfectly square case mouths. Cuts are bright and uniform. Bearing is hand-honed to fit the Cutter Shaft for a precision fit. Also included are an O-ring and an 8-32 x 1/8" Set Screw for locking Pilots. This Cutter Shaft fits the Classic Case Trimmer only, and it is the standard .552" diameter Shaft included with the Trimmer. 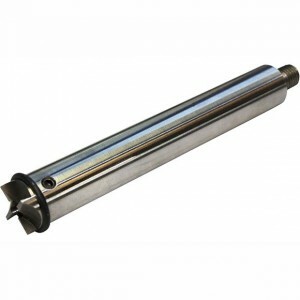 Additional Cutter Shafts are also available for other Trimmers.